DreamHack Valencia 2017 will be held on the weekend of the 13th to the 16th of July. Counter Strike Global Offensive, League of Legends, Overwatch and Hearthstone will bring together professional players from around the world for this summer competition. But another great performer of the eSports scene will take part in this edition: Hi-Rez Studio. Hi-Rez Studio has announced the launch of its tournaments at DreamHack Valencia, where players can win prizes for a total of $350,000 playing SMITE, Paladins, and Hand of the Gods: SMITE Tactics. Besides this, the studio has also made announcements relating to the three titles, all designed for the online competitive scene. Let’s see those below in details. 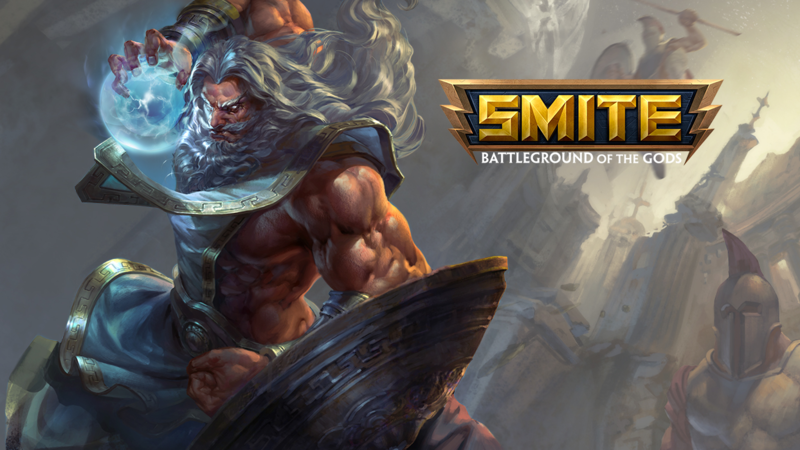 Hand of the Gods: SMITE Tactics enters open beta today. The turn-based strategy game is now freely downloadable and playable. To celebrate the launch, Hi-Rez introduced the Venus Competitor’s Pack with more than seventy cards and various bonuses, including a new skin for Aphrodite in SMITE. If you are interested, you can download the game client from here. SMITE got Project Olympus, a new initiative aimed at improving the core features of this playful Action MOBA. It begins with three patches, which will lead straight to the beginning of Season 5, scheduled for January 2018. Among the innovations that will be introduced are the revamp of the game’s engine; big improvements to the console versions; the addition of several video tutorials to help new players understand what to do; and the increase in the level cap, now fixed at 30, with the addition of levels of prestige. In Paladins, finally, the 30th character (the 10th released this year) will be introduced alongside a new map and other content. The hero is called Jenos, the Ascended and has a support function. The map is labeled Splitstone Quarry. The viewers of DreamHack Valencia on Twitch have a special opportunity to get the DreamHack Maeve skin, which will be available exclusively via Twitch or at DreamHack events. In addition, you can also see the new Paladins cinematic by clicking here.